Vince McMahon has done a lot of things to change television over his decades as Chairman and CEO of what was once called the World Wrestling Federation, now WWE, that people may not be aware of. 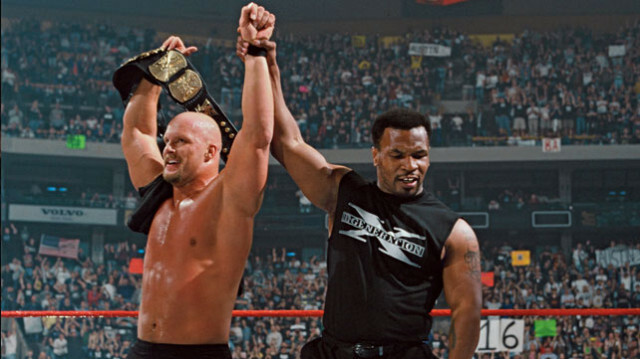 From helping to the initial launch of MTV and pioneering the pay-per-view format in the 80s to helping popularise Crash TV in 90s or being one of the biggest embracers of Twitter as a brand platform in the 00s, World Wrestling Entertainment has done a lot to make its mark on television. 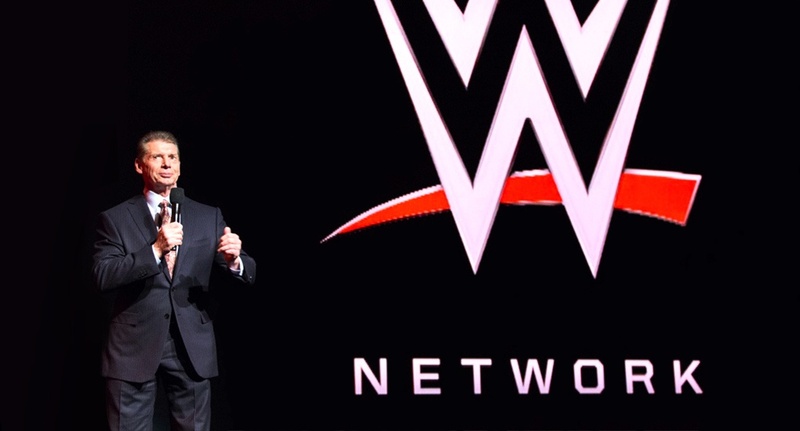 Nothing that they have done previously, though, may change the nature of TV like the WWE Network. The WWE Network will be the world's first 24/7 streaming network, launching in the US on February 24 2014, some 50 years after McMahon's father - Vince Snr - created the company. For $9.99 a month - which puts it on competitive footing with the likes of Netflix and Hulu - the Network will carry original programming, the latest WWE pay per views and open the company's massive archives for streaming, beginning with making every pay per view event the company has produced since 1984, alongside those of its former competitors World Championship Wrestling (WCW) and Extreme Championship Wrestling (ECW) available from day one. "Clearly, we need to quickly re-evaluate the economics and viability of their business with us, as it now appears the WWE feels they do not need their PPV distributors." The success of any On Demand service begins and ends with content. Netflix, Lovefilm and Hulu (to name but a few) all faced tougher early days as they struggled to acquire a decent range of content. I'm sure we all remember the days of browsing these services for something good to watch, only to find straight to DVD equivalent movies and TV series that had their moment in the sun years ago. Libraries grew slowly as deals were struck at a painfully slow pace, but as they grew bit by bit, the offerings became more and more compelling. The WWE Network is launching with 1,500 hours of content, covering every single PPV produced by the three most prominent North American wrestling companies of the last 30 years. That alone is compelling (for a wrestling fan) initial offering of premium level content. Now consider that that 1,500 hours represents approximately 1% of the company's entire library. 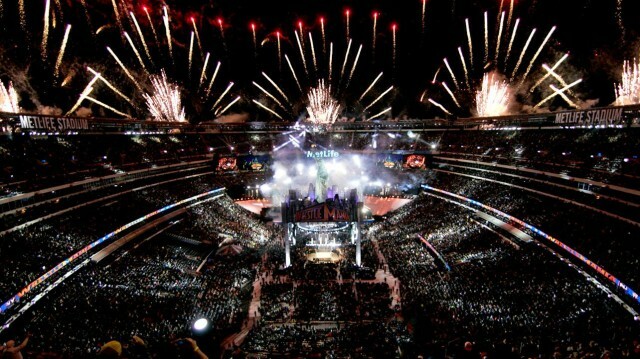 The WWE Video Library consists of the largest collection of professional wrestling footage and copyrights on Earth, standing at over 100,000 hours as of 2010 (given that the company produces around 7 hours of television a week, 52 weeks a year, the library has grown by another thousand hours since then). It's roughly the same size as Netflix, and documents more or less the entire video output of almost every significant North American wrestling promotion since the 1940s. Wrestling fans, like any other genre fan, have a wide range of interests in the medium. Some are addicted to the current style/product, some prefer watching the heydays of the 80s or late 90s, some prefer watching the regional promotions they grew up with in the 60s or 70s. WWE owns all of this, and they can drip feed it, month by month, onto the On Demand portion of the Network while also airing various parts of it week by week on the service's scheduled, streaming channel. They can satisfy the requirements of the majority of wrestling fans throughout the world, with a library that will continue to grow by hundreds of hours per year. In addition to this, the WWE Network could be an attractive host for the content of wrestling companies (domestic and international) outside of WWE. It is not to see inconceivable many of the Japanese promotions (as an example) to partner with the Network to make their content libraries available for the world's wrestling fans. Wrestling fans would no longer need to visit YouTube to find particular match, ensuring that content is always monetized. Finally, WWE also intends to produce a range of original content for the Network, covering reality shows like Legends House (think Big Brother with ex-wrestlers), fan participation shows like WWE Countdown (where fans vote ahead of time to populate a top 10 list for a specific topic) round tables, documentaries, behind the scenes or pre-show broadcasts for pay per views or linear programming like Monday Night Raw. This range of exclusive and original content will be available only on the WWE Network, in addition to all new WWE pay per views and the vast library of content that the company will release bit by bit over the coming months and years. All this is covered by a $9.99/month subscription, making for an incredibly powerful offering that would be hard for any fan of the genre to resist. Obviously, the economics of running a network of this size have to be considered, especially when considering there will be a 24/7 streaming channel available alongside a gigantic library of On Demand content. WWE has stated the it will need 1 million subscribers to break even with the service, (which is the almost the same number of pay per view buys that the company's flagship event, Wrestlemania, usually attracts), and 4 million to match its 2012 revenue. Given that they net around 4 million domestic viewers each week for Monday Night Raw, and its programming is watched by 30 million people in 150 countries worldwide, this should not be an impossible number to reach, and doing so would make it a giant success for the company. There are a number of other factors, however, that make the WWE Network an attractive proposition for the company (and any that would wish to follow WWE's model). The first, of course, relates to content. Netflix spent $100 million making House of Cards, and have to work tirelessly to negotiate deals to get content onto their platform (often for a limited time). Most of the On Demand services around the world have to come to similar agreements with content owners and distributors, and quality original programming is expensive. WWE does not have this problem, owning the footage and copyrights of every second of footage in their library. There are royalty fees that need to be paid to performers, of course (something that will be welcomed by the litany of down on their luck ex-wrestlers around the world today), and fees to be paid for licensed music and video, but these kind of overheads pale in significance when compared to the kind of fees Netflix has to pay to get exclusive rights to Breaking Bad (as an example). Original content will also present little challenge for the company to produce, as their in house facilities already give them ready access to it. From a content perspective, WWE has none of the problems that most other extant OTT services have (a notable exception would be BBC iPlayer) - such is the advantage of being a content creator and owner that wishes also to become a distributor. The other particularly strong economic advantage the WWE Network brings to the company is the strength that it gives them when negotiating their broadcast contracts. Monday Night Raw and Smackdown! are both staggeringly popular shows in that most coveted 18-49 demographic, and as an interesting article on Forbes recently pointed out, announcing the WWE Network at the start of the year that the company's extremely lucrative TV rights are up for negotiation makes clear that the company feels it can -if necessary - support itself independent of the whims of USA Network or SyFy. If (and it is a big if) the WWE Network is a success, WWE can effectively turn their back on catering to the demands of their broadcast partners, and while they are unlikely to want to do that completely, it does mean that those broadcasters will need to offer a lot more to Vince McMahon et al to keep such a popular and powerful brand on their network. When you sink a lot of money into making or acquiring content, like Netflix did with House of Cards, or BlinkBox has with Game of Thrones, you need to make your customers - current and prospective - aware that said content is available to them. When you don't have any sort of way of advertising it outside of your subscription only platform, a substantial amount of investment is thus required to get the message out. If you create your own content, however, that you already use to advertise a huge range of your own products, and have access to a plethora of internationally recognised personalities that will happily promote your new service on social media or wherever else you ask them to, you have a definite advantage. WWE has already begun heavily promoting the Network on their own website, YouTube channel, Twitter account and - most importantly - Monday Night Raw and Smackdown!, a promotional network that can reach tens of millions of viewers worldwide. In contracting so many well known wrestlers, WWE has a host of ambassadors larger than any movie or TV cast to promote its products - almost all WWE wrestlers (past and present) have social networking accounts with follower numbers ranging from hundreds of thousands to millions (the current face of the company, John Cena, has nearly 6 million Twitter followers and over 17 million Facebook fans). In addition, big names like Cena or Triple H (also company COO) have as much access to talk shows like Conan or Jimmy Fallon as any other celebrity promoting a product. All this amount to a massive promotional reach alongside the several dedicated hours of TV they already produce with which they can promote the WWE Network as relentlessly as they desire. Combine this heavily muscled promotional arm with the range of exclusive content that will not be available anywhere else that supports regular, linear programming - un-televised PPV pre-show matches (currently being broadcast on YouTube with great success), pre-game round tables the air ahead of or after Raw and Smackdown! (a format shown to be viable with the success of programmes like Talking Bad) - and you've created a promotional model that feeds the broadcast viewer straight into the OTT, subscription offering. So it is clear why the WWE Network should succeed. But what impact will this have on the wider television industry? Look at any genre of professional sport that has any kind of history and pedigree, be it professional golf, football (the version with the football and the version with the rugby shaped ball that is called football) or basketball, and consider how beholden they are to the desires of the broadcaster that airs their content on television. Think of the advertising deals they must set up, the high stakes negotiations over rights and fees, the constant battling for a better time slot against rival sports. Now tell them that they can have their fans pay them directly to view their content. No need to rely on Sky or NBC or Direct TV. No need to come armed with a years worth of ratings data, advertising returns, Twitter trends and attendance figures to try to justify a broadcast fee increase or a better revenue share. I'm not advocating that anybody eschew traditional broadcast altogether, but being able to access fans and viewers directly and essentially retake ownership of the rights around their own content, is an extremely attractive proposal to a number of big name sports, if the model proves to be a success, which I believe it will. Finally, consider it from a viewer's point of view. Rather than having to pay for an entire Sky Sports package on a cable subscription in order to get one or two sports they love, a viewer could just go direct to the NFL or PGA and use their OTT service. These individual networks, available on Smart TVs, games consoles, set top boxes and connected mobile devices give viewers access to just the sports they love, wherever and whenever they want, and still able to watch it on their big screen TV for the lean back experience like a regular TV broadcast if they want to. All this comes at a far lower price than a subscription package from their cable or satellite provider would cost them. No wonder Direct TV are worried, the success of the WWE Network may put them down for the count. This article originally appeared at http://www.milesweaver.com/post/74161376384/why-the-wwe-network-will-succeed-and-maybe-change and has been republished with permission.